An underground vault was placed, new lines were cut in, the tank in the house was removed, and some minor plumbing work done. We had just bought a new place and found that the well did not have the output needed for our plans. We enlisted the help of Water Well Service and its crew. They came down, diagnosed the problem, recommended how we could get the most out of our well and why we were having the problems. Within days they had the new system in operations >L.M. The pump and motor were not large enough to handle the water output the customer wished to have. Based on out testing multiple options were discussed with the customer. A solution that fit the customer’s desires and budget was installed. After looking for numerous years for a cabin we finally found what we thought was just what we wanted. It had not been used for numerous years so the best we could go on was what we were told about what was existing, including a well. As we started the fix-up process great excitement and enjoyment was altered by water problems. 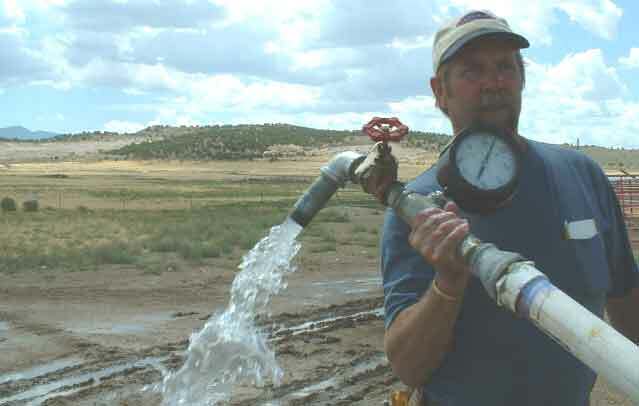 The well had so little water pressure that we could not water what we had expected and planned to have around our cabin. After many conversations with the local neighbors, the land broker and the previous owner(s) we could not figure out why it was not working properly. Weeks into the problem with many sleepless nights we decide to try to find some professional help. We called Water Well Service and they were there the next day. They did some preliminary tests, pulled the well, diagnosed the problem, showed us the problems they found, and suggested some options for our situations. They had our pressure up that day. >D.N. The well was found to have clogging in the filter and a general build up that had caused the water output to be restricted. 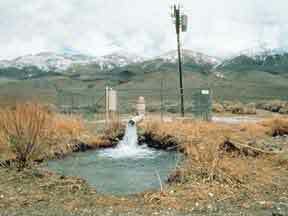 Testing by the Utah State Water Board was suggested (This service was provided free by the state - for more information call 1.801.234.5678). We have a cattle feedlot operation that counts on water for proper wait gain. In the heat of the summer our well lost pressure and the cattle were without water. One call to Water Well Service and they made arrangements to meet us there. Within an hour they had the problem found and solved. It may not sound like a big deal but hundreds of cattle out of water is a major problem for a profit based agriculture producer. >D.M. The well pressure switch was found to be defective and replaced. A new enclosure was made to protect the switch from the external elements for a longer life.